As any writer will tell you, the publication of a book is an occasion for celebration—especially one that has been written and rewritten and agonized over for a decade. 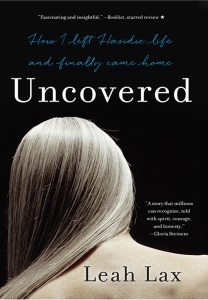 So it is clearly time for Leah Lax to celebrate the publication (on August 28) of her long awaited and compelling memoir, Uncovered: How I Left Hasidic Life and Finally Came Home. Inprint’s connection to Leah and this book goes back many years. You might consider this “extra-textual”: it’s not in the book. Sometime in early 1996, when I was still “the new guy” at Inprint, I received a phone call from Rosellen Brown, the acclaimed writer and faculty member at the UH Creative Writing Program (UH CWP). Rosellen had a friend in the Houston Hasidic community who was a school teacher and a talented writer. Inprint gave scholarships to Houston-area K-12 teachers to take our writers workshops. (Now we offer Teachers-as-Writers Workshops, essentially the same thing.) Rosellen wondered: Could her friend Leah receive a teacher scholarship? 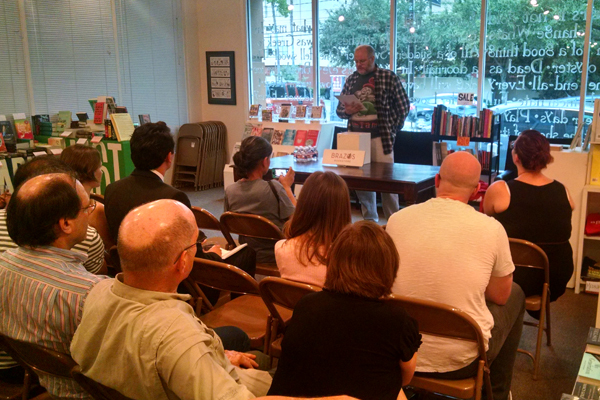 A big congratulations to Houston writer Matthew Salesses. Matthew, a current PhD candidate at the UH Creative Writing Program, has received the Inprint Donald Barthelme Prize in Fiction, teaches Inprint Writers Workshops and Inprint Life Writing Workshops at Houston Methodist Hospital, has served as an Inprint Poetry Busker, and can also be found live tweeting at some Inprint readings. Matthew’s new novel The Hundred Year Flood was just published and is receiving rave reviews. He reads on Friday, August 28, 7 pm at Brazos Bookstore, 2421 Bissonnet. All his fans are excited to hear him read. Here Inprint blogger Erika Jo Brown talks about Matthew’s new book and shares her lively email exchange with him. 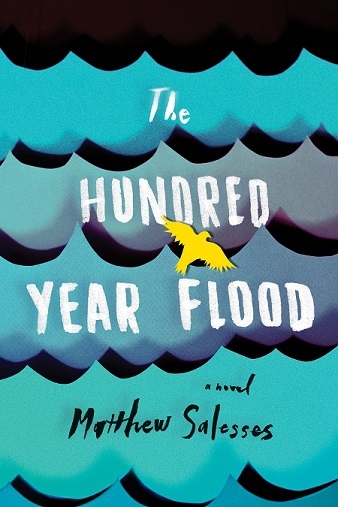 As you read Matthew Salesses’s beautiful new novel, The Hundred-Year Flood, the Prague setting and “love square” may remind you of The Unbearable Lightness of Being. The visceral treatment of a natural disaster may call to mind the aftermath of Hurricane Katrina, especially for readers around the Gulf. The haints and spirits that follow the protagonist may suggest the hauntings of Beloved. The bewitching effects of an artist couple will delight fans of The Woman Upstairs. The novel’s compelling, phantasmagorical tone may stir up thoughts of Murakami. With these literary constellations, Salesses has conjured up a wholly original novel, touching on the reverberations of adoption and how family secrets can affect nearly-grown children—an age of development often overlooked in this context. As a proud UH graduate student (go Coogs! 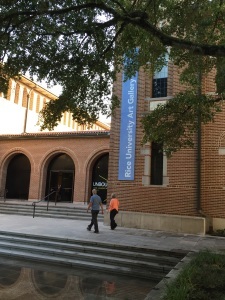 ), I don’t often make it to the Rice University campus. But on a serene Wednesday evening, during the first true break in the heat, when the hallowed walkways and archways were glazed with late-summer rain, I found myself entering the Rice Art Gallery, attending my first ever Words and Art reading. Coordinated by Mary Wemple, a local poet-artist, the Words and Art reading series has been going strong since 2011. This particular reading featured poetry and prose inspired by artist Ben Butler’s sculpture/installation Unbounded.